YouTube Music review | What Hi-Fi? Music streaming is all about the numbers – even more so than for the majority of businesses. If your service doesn’t have tens of millions of tracks, can’t attract millions of paying subscribers or isn’t spending millions in royalty payments to artists, publishers and record companies, something’s wrong. Google is no stranger to big numbers, of course – it acquired YouTube for $1.65bn back in 2006, a not inconsiderable sum even a dozen years later. Mind you, that’s against estimated YouTube revenue of $5.2bn as recently as 2016. But for all its mind-boggling wealth, Google has proved dismally ineffective at crashing the world of music streaming. Google Play Music isn’t without its charms, sound quality chief among them, but consumers haven’t been willing to subscribe in anything like the numbers a service like this needs. 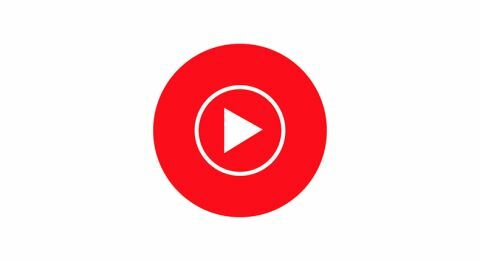 YouTube is currently the world’s most popular music streaming service – despite that not being its raison d’être – so Google is attempting to harness its ubiquity by formalising a music streaming service that’s easy to use and offers all the features of the market leaders. YouTube Music is the result. There are some likeable aspects to it, including the free tier. Naturally, it is supported by ads - though not as many as you might fear. For £10 per month, you get YouTube Music Premium, which avoids the ads and allows downloads for offline listening. Up your spend to £12 and YouTube Premium allows ad-free access to YouTube Music and YouTube, with download functionality too. YouTube Music Premium Family costs £15 per month, and for that you can add up to six family members to your YouTube Music Premium subscription. The YouTube Music app (there’s no desktop equivalent) looks sophisticated or bland, depending on your point of view. It’s certainly dark, but also cleanly laid out, with nice legible fonts and three main controls: ‘Home’, ‘Hotlist’ and ‘Library’. ‘Library’ is where the lists of songs, albums or artists you’ve liked, and playlists you’ve created, reside. ‘Hotlist’ is effectively a ‘trending’ page, currently featuring all music videos, though there are plans to include pure audio too. Of course, YouTube Music is not alone in including music videos – all the big music-streaming players include them – but it is unique in having pretty much all videos. ‘Home’ is divided into tiers (or ‘shelves’), where curated playlists (‘New Electronics’, ‘Easy Rolling Pop-Rock Classics’ and so forth) vie for your attention with ‘Recommended Music Videos’ and numerous ‘More From…’ recommendations based on the artists you liked when you set up your account. It also includes ‘Your mixtape’ (subtitled ‘endless personalised music’), YouTube Music’s sole discovery feature. Being owned by the Emperor of Algorithms, you’d expect YouTube Music’s discovery feature to start making a few judicious recommendations in quite short order. But despite a solid week of searching for music, listening to music and mashing the ‘like’ icon on our favourite artists and songs, our ‘Your mixtape’ selection remains predictable and uninspired. The vast majority of the selections turn out to be music we already know by artists we’ve already confirmed we like. Tell YouTube Music you like Amy Winehouse (as we did, because we do) and Your Mixtape will include every one of her songs in next-to no time. It’s possible to improve and/or expand the scope of your ‘discoveries’ by enabling location- and activity-based recommendations in the settings. If you’re at the gym or walking in the park, YouTube Music is happy to tailor its recommendations to suit your activity or the time of day. Whether you’re happy to share this information with Google is a different matter. In terms of catalogue, YouTube Music has a big one. We duplicate a number of our most successful Spotify, Tidal and Apple Music playlists with few problems – in fact, the only real anomaly comes in 10 songs to test your speakers, where Radiohead’s In Rainbows proves elusive (as does The Bends and the rather more disposable The King of Limbs). But this is YouTube, of course, so we’re able to include the frantic The National Anthem in the playlist in video form, thanks to Connor Addison. And this is where YouTube Music puts meaningful distance between it and other rival music streaming services. Thanks to the effort and enthusiasm of millions of YouTubers, there are a huge number of uploaded music files on YouTube Music that simply aren’t available on any other platform. A moment’s discussion in the office turned up Ginger Thompson’s 60s gem Boy Watcher, James Ray & The Performance’s 80s grinder Mexico Sundown Blues and the turn-of-the century’s non-deeper deep house classic Deep Burnt by Pepe Bradock – all available on YouTube Music but on no other streaming service. And there are plenty more where those came from, all just waiting to be streamed at your convenience - if you’re a YouTube Music subscriber. But when it comes to sound quality, YouTube completely fails to stand out. We’d find it hard to get behind any product if it doesn’t sound good, and the simple fact is that YouTube Music doesn’t sound good. It’s not a catastrophe (apart from some atrocious user-uploaded files - basically videos of someone putting a record on, you know the sort), but it’s really only just about satisfactory. There is just one audio standard, and it’s YouTube’s default 128kbps – even if you’re paying monthly for the service. We don’t need to invoke Tidal Masters or Qobuz Hi-Fi – those cost £20 per month, after all – but Spotify is prepared to pony up 320kbps for just a tenner a month. Heck, even Apple Music does better than 128kbps, and Apple has never really been all that hung up on sound quality. As a consequence, any music we play, from Frank Ocean’s Nikes through Bicep’s Just to The Incredible String Band’s A Very Cellular Song, receives the same treatment. Dynamic range is minimised, bass tends to be lightweight and treble sounds are rounded off. The overall impression is one of compression – songs that should breathe deeply and take flight, such as Caribou’s Melody Day, sound like they’re being smothered by a pillow. We’re deeply impressed by YouTube Music’s ability to turn up long-lost musical gems, and for that reason alone it’s worthy of consideration. But if you’re as concerned about the way music sounds as you are about finding it in the first place, YouTube Music proves frustrating.